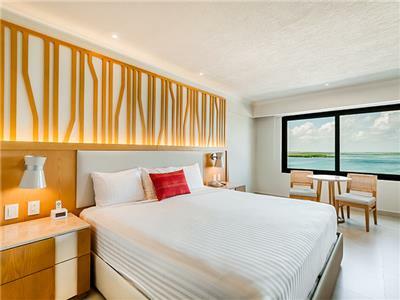 Enjoy a relaxing view of the Nichupte Lagoon from the windows of this comfortable guestroom. Each spacious room comes with fine amenities and lovely decor. 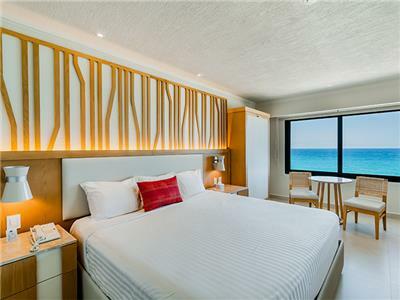 Starting on March 1, 2019, all guests must pay an environmental tax, which will be charged per room, per night at the moment of check-in. Enjoy the commodities that these rooms have to offer, as well as a pleasant environment, ideal to rest after a long day full of activities. You can also enjoy an array of convenient services and amenities offered in each one of them to make the most of your stay. 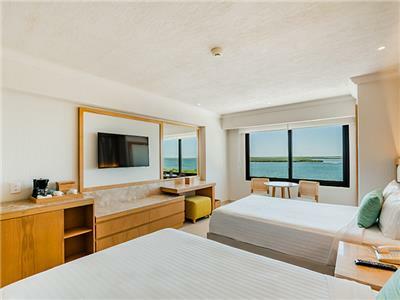 Enjoy a relaxing view of the ocean from the windows of this comfortable guestroom. Each spacious room comes with fine amenities and lovely decor.